Bali, one of the most wonderful islands on the planet. I love that place and was so happy to return for a second time and spend a few months there. The side trip to the Nusa islands was amazing, some of the best beaches I've ever seen. 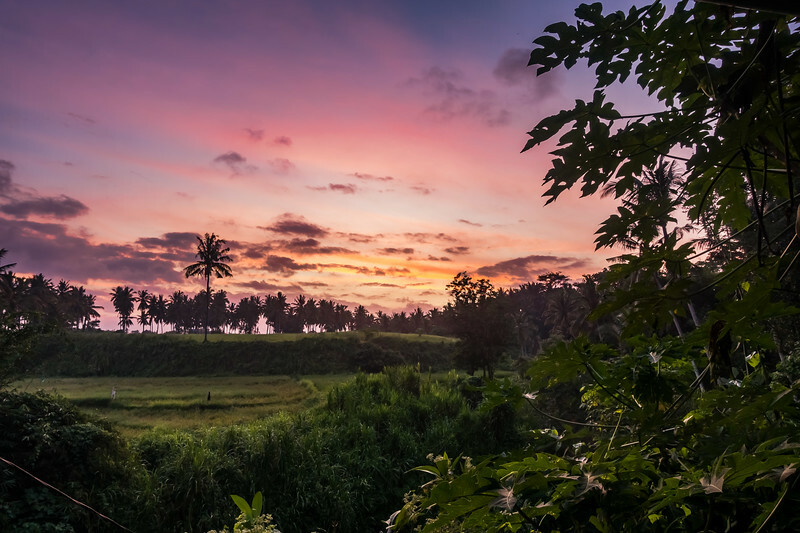 Sunset seen from my accommodation in Ubud, Bali, Indonesia. A perfect location to sit down and enjoy the beautiful scenery. And bugs.